In the land that stakes its claim to inventions such as the compass, gunpowder, paper-making and printing, the Middle Kingdom’s technological advancement continues to draw global attention. Chinese technology companies are today raising more venture capital than companies in any other country, while the number of registered Chinese new businesses tops the world. And the largest herd of unicorns – private companies worth US$1 billion and more – resides in China. For the year 2017, Chinese AI start-ups raised US$27.7 billion via 369 VC deals. Chinese AI start-ups took a 70% and 31% share of global fundraising total and total deal volume, respectively. China’s dominance in terms of VC fundraisings accelerated from 2013 until now, as China’s share rose from less than a third to over two-thirds of global totals. 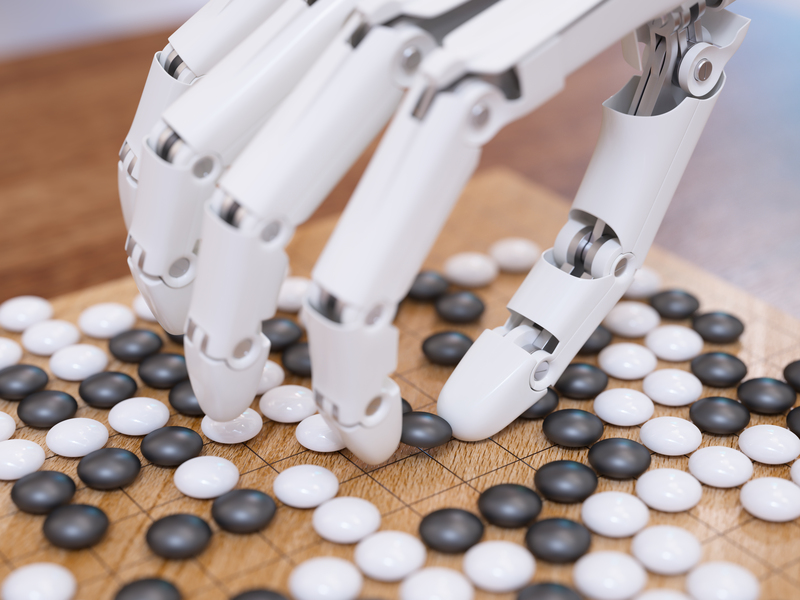 As a result, Chinese AI companies have taken center stage globally during the current technology revolution, with opinions ranging from alarmism to extreme optimism. Yet, data and insights into the Chinese AI space remain limited. This China AI ABC includes the 50 most successful Chinese AI start-ups with the greatest potential for future success. The list offers a unique perspective into China’s AI industry by providing detailed company-level insights. This overview of the industry’s pioneer companies will also give readers a more practical and realistic view of the Chinese AI sector. This article is part one of a trilogy called “The ABC of the Chinese AI scene”. and won strong investor support during its first year. Lin, a PhD graduate in electrical engineering from the University of Pennsylvania and a Tsinghua University graduate, joins with Dr. Silvio Savarese in founding Aibee. Dr. Savarese is an associate professor of computer science at Stanford University, and is married to Li Fei-fei, a prominent AI figure in China having served as chief scientist of AI/machine learning of Google Cloud. In May 2018, Aibee said it had received an investment from Adrian Cheng Chi-Kong, the third generation heir to Hong Kong’s Cheng Yu-Tung family, whose net worth is estimated to be around US$17 billion. Adrian Cheng plans to utilize Aibee’s technology to improve efficiencies in his K11 art-themed shopping malls in Greater China, and perhaps at the family’s other assets including thousands of jewelry stores and dozens of malls in the next few years. 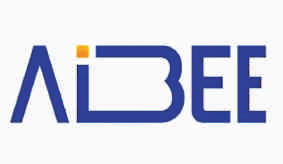 Aibee’s mission is to provide industry-tailored AI solutions encompassing all technology areas from computer vision, voice recognition, natural language processing, big data-based recommendation and projections. This approach is based on Lin’s belief that enterprises need one-stop solutions when looking to incorporate AI technology across business operations. The company will first test this method in retail, then expand to other industries. 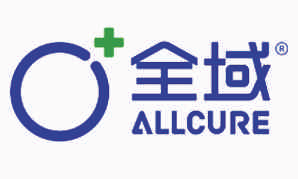 Even though AllCure Medical was founded by changing its corporate name to the current form in 2015, the company was in the making during the previous decade. Founder Chen Zheng, who graduated from the department of military medicine at Guangzhou First Military Medical University, has been working in cancer treatment ever since. He founded Concord Medical Services Holdings and brought the radio-therapy and diagnostic imaging center operator to a U.S. listing in 2009.
consult the cloud platform to improve treatment effectiveness. This system has been deployed in 21 provinces and nearly 100 hospitals in China. In order to continue improving its system, AllCure Medical partners with many agencies to collect and analyze massive amounts of health data. It plans to build more independent cancer image diagnosis centers and deepen the usage of AI technology in its radiotherapy planning systems in the future. first few years trying to figure out how to commercialize voice technology, the research topic of the other Cambridge graduate majoring in engineering, Yu Kai. man-machine dialogue operating systems and AI chip modules. The latest move by the company is announcing a partnership with an undisclosed chip company to set up a joint venture to make AI chips customized for intelligent voice interactions. It is also exploring opportunities in enterprise-facing smart services space, helping businesses to add voice capabilities. To achieve that, AISpeech is focused on enhancing its research via partnering with Shanghai Jiao Tong University and Suzhou city government to set up AI labs. It has also established its own investment fund to invest in related start-ups to stay on top of emerging new tech. It was after much trial and error that Appier’s founders identified a viable business idea that later became Appier. Yu Chih-Han and Joe Su, two Harvard graduates, started their entrepreneurial career at an apartment close to campus. They produced a number of products, including a virtual gaming character with AI capabilities, but none made much progress. In 2010, the pair decided to focus on cross screen technology, seeing the strong demand for gaming, ads and e-commerce as mobile Internet emerged. Two years later, Appier was born. Having worked on Stanford’s DARPA Challenge, Yu has expertise in AI. Su, a nationally ranked programmer in Taiwan while in high school, is good at building large-scale systems. Combining the pair’s strengthen, Appier developed one of the earliest cross screen technology solutions in Asia. 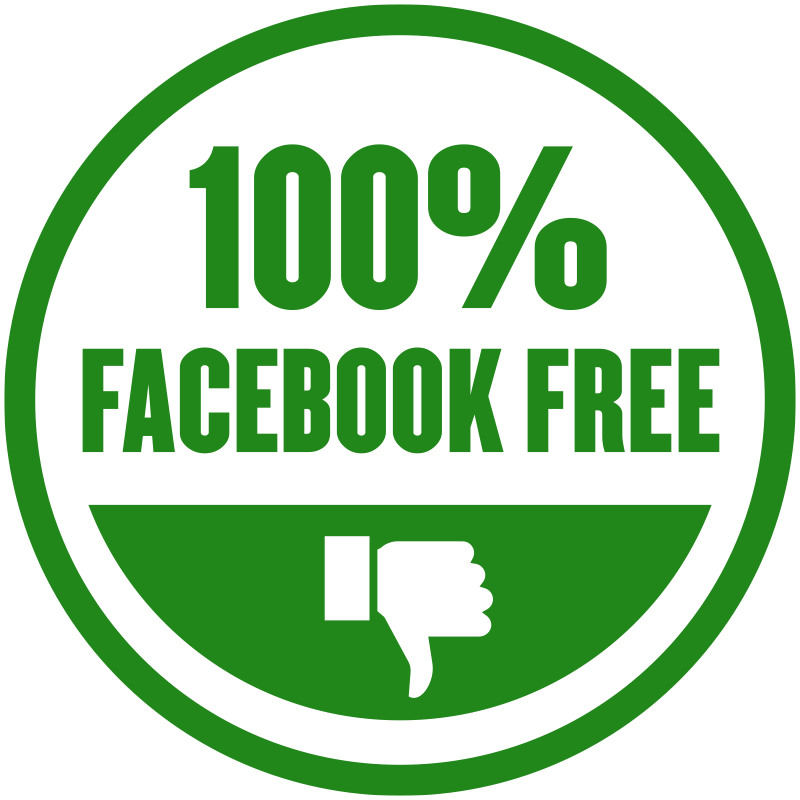 Its products allow advertisers to integrate device-specific marketing efforts into a single cross-screen campaign. Appier’s systems study user behavior to identify relationships between devices and users, and then model user habits to provide insights and predictions to advertisers. For example, Appier claims to have helped Carrefour in Taiwan increase their Web-based click-through rate by 87% using its cross screen solution compared to single screen ad campaigns. 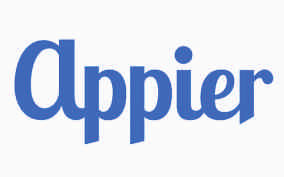 Going forward, Appier is deepening its expansion in Asia. It is also seeking to expand applications in more sectors, including financial services, healthcare and manufacturing. 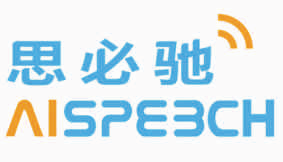 Cambricon Technologies Corp Ltd. was founded in 2016 by a group of researchers at the Institute of Computing Technology, Chinese Academy of Sciences, China’s top research institution. The co-founders are two gifted brothers, Chen Yunji and Chen Tianshi, who obtained their PhD degrees in computer science and computer theory at the age of 24 and 25, respectively. In 2014, the brothers teamed up with other researchers to publish two highly influential research papers on deep learning processor architecture and new designs of an accelerator for large-scale convolutional and deep neural networks. The year after, the team was among the earliest globally to have developed a deep learning dedicated processor prototype chip. In 2016, Cambricon was officially established with angel backing from Chinese voice recognition giant iFlytek and other Chinese investors. In 2017, Chinese Academy of Sciences also appropriated RMB10 million to support Cambricon’s research. Thereafter, Cambricon went on to release a number of key products including Cambricon 1A and 1H series chips specially designed for deep learning processing. The chips were used by smartphone maker Huawei’s Mate 10, P20 and Honor phones. In May 2018, Cambricon released 1M chip and MLU100, its first chip for cloud computing. The 1M chip has TSMC 7nm technology and provides efficiency of 5 TOPS/Watt for 8-bit computing. “We hope to take 30% market share of China’s high-performance smart chip market and to have one billion smart devices worldwide integrating Cambricon’s processors in three years,” Chen Tianshi told Xinhua News in 2018. As the earliest and best team developing chips in China, Cambricon has received strong government support. Its series A and B rounds were both led by Chinese Central Government-level investment funds. The company is clearly a leader in the Chinese chips space, and carries on its shoulders the hope of achieving China’s self-sufficiency in chips. A company’s genetic makeup lies deeply in its founder. For Cloudminds, a start-up wanting to build a cloud-based AI system for everything, its founder Huang Xiaoqing’s deep telecommunications background is embodied everywhere from its official statements to its product lineup. Huang had over 20 years of telecommunications work experience before founding Cloudminds in 2015 in his 50s. Having worked at telecommunications firm UTStarcom for over 10 years and after a stint at China Mobile, Huang founded Cloudminds to create a cloud-based super brain that will have unlimited applications. 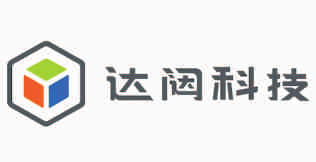 Softbank, an old connection for Huang, backed the company from the start. secure Internet for special applications. Its dual-chip and dual-OS smartphone product has been used by government agencies such as the police force because of its high level of security. It also has launched consumer products, including a GPS helmet that can guide the blind to navigate with voice instructions. Though the helmet still appears to be years away from commercialization. In May 2018, Cloudminds jumped on the blockchain bandwagon, partnering with Softbank to jointly develop a blockchain identification solution. Cloudwalk is another AI start-up incubated in the Chinese Academy of Sciences (CAS) system. Founder Zhou Xi is a PhD graduate of the University of Illinois Urbana-Champaign with a research focus on computer vision. He joined the Chongqing research institute of CAS and then established Cloudwalk in 2015 to turn research ideas into viable businesses. Cloudwalk began its commercial journey from supplying facial recognition technology solutions to a unit of Chinese border control. It then helped Guangdong province’s public security bureau to catch suspects on the run using facial recognition. As of March 2018, a total of 24 provinces in China utilize public security solutions powered by Cloudwalk. The company also provides facial recognition solutions at airports. Another area Cloudwalk found viable customers is in banking. 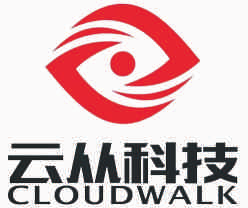 With its connection to CAS and the team’s early start, Cloudwalk was able to provide facial recognition to nearly 100 large-scale banks in China. More importantly, Cloudwalk was tasked to help build two projects for China’s National Development and Reform Commission: “Artificial Intelligence Infrastructure Public Service Platform” and “Facial Recognition System Industrial Application Platform”. The Guangzhou city government has also provided generous financial and policy support to the company, giving it advantages in obtaining government-related projects. Cloudwalk Research Institute fuels the company’s product development and currently focuses on researching pioneer AI algorithms and exploring new tech areas such as 3D face recognition and Person Re-Identification. With ten years of experience in autonomous driving algorithm research and system development, He Tao has strong conviction. CowaRobot, the company he founded, should find areas where commercialization is technologically ready. With self-driving technology years away from being used in real-life situations, CowaRobot is taking a different path: focusing on low-speed self-driving in controlled environments with a clear business rationale. A PhD graduate from Tokyo Institute of Technology with a focus on environmental awareness for self-driving, He worked at Shanghai Jiaotong University after graduation. But seeing his research turn into life-changing products is what really excites him. Initially, CowaRobot tried to build a smart suitcase that follows its owner around automatically. The product, despite its “wow” factor, had uncertain business potential. Next, CowaRobot launched a low speed, intelligent city street cleaning robot. The robot is made with China’s largest sanitation machinery maker Zoomlion Environment. CowaRobot provided the software and hardware enabling autonomous driving for the vehicle. As cities big and small in China are eager to experiment cool and techy products, the product secured a number of buyers across several provinces. One of which is a scenic park in Changsha made famous by a poem by Chairman Mao Zedong. 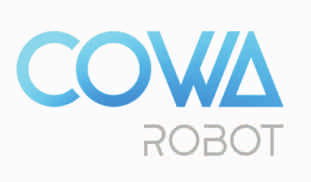 Next, CowaRobot plans to expand to logistics and machinery sectors. In logistics, it may consider making robots for product loading, sorting and packaging at warehouses. It may also consider producing more consumer products. After suffering a major management shakeup, Chinese computer vision company DeepGlint seems to be on the mend. Two co-founders, Zhao Yong and He Bofei, agreed to part ways in January 2017. Former CEO He Bofei, a Stanford business school graduate, departed. Former CTO and chairman Zhao Yong, a PhD graduate of Brown University with a focus on computer vision and computational photography, stayed on to serve as chairman and CEO. Zhao was a senior researcher at Google and was the earliest member of the Google Glass project. At the same time, Deng Yafeng, who was at Baidu’s deep learning institute leading projects on facial recognition, joined as co-founder. Thus, the company was back on the path for growth. The episode came with great price. As peers raised massive VC financing and took market share of the lucrative “public security” pie, DeepGlint’s prospects lagged. But the company celebrated in August 2018 when it won a significant public security contract from Bank of Agriculture to supply smart video cameras, facial recognition equipment and 3D image analysis devices. This type of win, however, is something DeepGlint’s bigger rivals are achieving much more frequently. But with a stable management team, it is rapidly catching up. It has a partnership with Hyundai to supply its intelligent HD cameras. It is working with Chinese retailers to widen the use of biometrics payment methods. Going forward, DeepGlint wants to expand its market share in the public security market, while exploring new areas including intelligent transportation, driverless cars, robotics and medical imaging. Deepwise was founded in early 2017 by several experienced medical and tech experts. Chairman Lei Ming is a computer science graduate from Peking University and worked at Baidu before founding two successful tech companies. CEO Qiao Xin was a VP in Greater China for Siemens Healthineers, one of three foreign companies taking around 90% to 100% of the high-end medical equipment market in China. The pair founded Deepwise after seeing the great potential of combining AI with medical imaging. The star team was able to secure VC funding in the beginning, and soon released a beta lung nodule early screening product that is being tested in a dozen hospitals. But it was not smooth sailing all the way. The team had to re-do data marking and re-train their data many times in order to secure stable results. It also had to find solutions to produce a method that is compatible with different standards of medical imaging from different medical equipment makers. But the company claims its lung nodule screening product was able to achieve sensitivity and specificity of 98.6% and 92.9%, respectively. 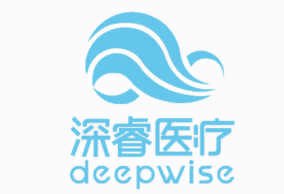 Deepwise wants to help hospitals in China’s small cities to better detect and screen diseases early. It also wishes to help the biggest public hospitals, from which cancer patients from across the country are seeking treatment, to better handle complex cases with its AI tools. The company will explore other areas of business including general consultation, medical record data mining and surgical intelligent navigation. It plans to expand in the North American market as well. A global drone powerhouse appearing to be "All In AI"
DJI is known around the world as the dominant consumer drone maker with annual revenue reaching billions of U.S. dollars, but its ambitions in AI is no less grand. Founded in 2006 by Frank Wang, a Hong Kong University of Science and Technology graduate, DJI drove the growth of the consumer drone market while achieving great commercial success as the top retailer of reliable and economically priced consumer drones. Much of DJI’s technology research areas overlap that of AI and robotics, such as computer vision and sensor technology. DJI’s Phantom 4 drone utilizes image recognition to avoid and track objects. The Mavic Pro can take gesture commands and map the environment based on image recognition and deep learning. 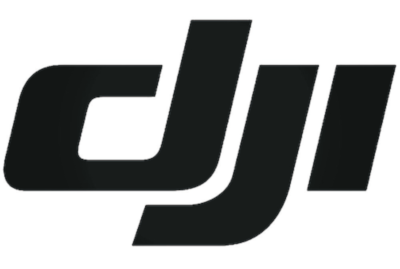 In May 2018, DJI partnered with Microsoft to build an SDK to allow drones stream real-time video to a computer, which will analyze and interpret the footage. This allows industrial applications such as spotting anomalies in pipes or power lines. In addition to years of rumors that DJI may be developing its own autonomous driving operations, there are signs that the drone powerhouse is implementing an “All In AI” strategy. Potential areas DJI may enter include advanced manufacturing, robotics and AI chips based on its accumulated technology and know-how in computer vision and AI algorithms. Founded by a group of hackers and makers, Dorabot has an eclectic feel that is rare among Chinese AI companies. Its open, lab-like office with a multinational staff, coupled with an atmosphere to encourage out-of-the-box thinking makes it look like a start-up more commonly seen in Silicon Valley. The company’s Chinese name, which literally means “Blue Fat Robot”, is a play on founder Deng Xiaobai, whose first name means “Little White.” A veteran logistics manager with years of experience working at international logistics giant UPS, Deng’s childhood dream was to create logistic robots after interning as a delivery boy at the age of 12 and seeing how inefficient the process was. He was joined with two other co-founders with engineering and robotic expertise to make Dorabot a start-up to revolutionize how logistics are executed. Consistent with its culture, Dorabot decided to take a different approach from Kiva Systems, the mobile robotic fulfillment systems bought by Amazon. As many Chinese start-ups simply copy Kiva’s product design, Dorabot instead spent months researching at warehouses and logistics companies to find a better solution. Its conclusion is a more nimble system that can grab individual objects, instead of Kiva’s system that moves around a whole shelf at one time. This will of course be more challenging to achieve, and Dorabot is taking a step-by-step approach. It has a customizable wheeled robot with a programmable arm suitable for research and education, and a robotic hand that grasps objects that can be easily integrated with hardware systems. Next, it wants to partner with logistics companies to test its systems for full deployment. Controversy has accompanied much of Ehang’s existence. The company was founded in 2013 by Hu Zhihua, a Tsinghua computer science graduate and a die-hard model airplane hobbyist. From the beginning, the company chose to do things differently. It first released a consumer drone that used mobile apps for control, instead of a traditional console. Feeling the pressure from dominate players, it turned to making manned drones for short-term travel, a segment few start-ups dared to challenge. Ehang took a few years to release footage of its CEO taking a flight inside its Ehang 184 AAV, a low altitude autonomous aerial vehicle for medium and short distance travel. But with a range of around 10 miles, which means around 23 minutes of fly time, the product is still years – if not decades – away from commercialization. Because its performance and safety standards are still secondary to an American peer, Ehang was replaced as the partner helping the Dubai government test an air taxi project. But slowly, Ehang is forging ahead. Ehang 184 has become a pilot project of the Civil Aviation Administration of China, which is giving the company permission to conduct tests in Chinese airspace. It is seeking ways to generate revenue to support its on-going operations. One lucrative business is performance drones. Leveraging founder Hu’s experience managing emergency dispatch and control systems for large scale events including the Beijing Olympics, Ehang has been providing performance drone services that are reportedly bringing significant income. The company deploys hundreds and sometimes over 1,000 drones in the air to form images and words that are fun to watch. Ehang is also seeking ways to commercialize delivery drones that can deliver light goods. But the ultimate dream for Ehang and Hu is to fly humans at low altitudes from 500 to 1,000 meters. It has already accumulated rich experience in managing control centers for large numbers of drones in the air. Next, Ehang wants to work with the Chinese government closely in making the sci-fi movie scenes of its dreams come true. A company’s DNA can always be best traced to its founder’s experience and vision. Dai Wenyuan, founder of Fourth Paradigm, headed the team refining and maximizing Baidu’s search ad revenue in the early 2010’s. By one account, the team’s algorithms helped drive Baidu’s revenues up by eight times in a period of four years. That experience of making real world returns via technology led Dai to focus on creating a universal AI tool for enterprises when he founded Fourth Paradigm in 2015. Thus, the company’s vision is to enable a world where “AI is for everyone,” as its slogan states. In another word, creating a “brain” that can power all businesses across sectors to harvest the benefits of AI. This brain comes in the form of a SaaS product, which companies can plug into to make better predictions. For example, Fourth Paradigm’s tools enabled China Merchants Bank’s credit card unit to increase its earnings by 60% by more precisely targeting those cardholders who are likely to generate higher revenue for the bank by selecting installment payments. Even though the company’s vision is to empower every industry, it has accumulated its greatest experience in the banking sector. Three of China’s national “Big Four” banks have invested in the company as strategic investors. That is because Fourth Paradigm’s solutions let banks enhance their AI capabilities in an all-round and coordinated fashion. By comparison, some AI companies only help banks to “see” or “hear” their users. Based on its AI platform, Fourth Paradigm can also help banks create customized applications from anti-fraud tools, risk pricing suggestions and chatbots. Looking ahead, the company will continue to refine its AI platform and cultivate more industry verticals outside of banking. Its dream is to lower the technical barriers of utilizing AI so that anyone – even those without any background in technology – can implement AI tools to improve efficiencies. 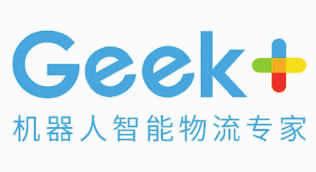 Geek+ started inside the study halls of Tsinghua University in Beijing, where three computer and engineering alums spent nearly a year to produce a logistics robot prototype, which later became Geek+. Led by Zhen Yong, who graduated from Tsinghua majoring in industrial engineering, the company was founded to produce something like Kiva, the mobile robotic fulfillment systems later bought by Amazon. Zhen, having worked at ABB and Chinese private equity firm New Horizon Capital, intuitively saw the great business potential of catering to the rising demand of e-commerce firms in China. Geek+ makes automated storage and retrieval systems that can cut labor costs and improve efficiency. In addition, the company develops automatic handling and sorting systems that can further improve efficiency throughout the whole process of fulfilling online orders. Geek+ has deployed thousands of its robots to e-commerce firms including JD.com, as well as express delivery firms, online pharmacies, supermarkets and third-party logistics companies. Its clients also go beyond the Chinese border, with the company having helped a Japanese third-party logistics company to increase efficiency by as much as four times before deploying its robotic systems. As the company’s products mature, Geek+ plans to increase deployment and to expand overseas. It is also researching smart forklifts and robotic arms; robot navigation and control; and large warehouse management systems. Named after a great mountain in his hometown in Yunnan province, Liao sees great parallel between his childhood and the company he is building. Requiring a full day and night of climbing to see the most beautiful sunrise at the peak the next morning, climbing the mountain requires time, patience and persistence. Achieving his professional goal, Liao believes, would take nothing less. A Tsinghua University graduate and a PhD in computer science from the University of Maryland, Liao founded HiScene to develop augmented reality solutions and improve man-machine interactions via augmented reality technology. 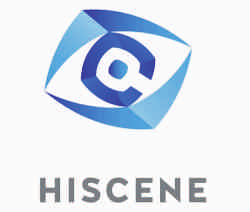 In the past few years, HiScene first released a HiAR SDK to let developers build cross-platform AR apps and AR games. It then unveiled a self-developed pair of AR glasses, HiAR G100, priced at RMB16,998 (US$2,490). Other offerings include a communication and collaboration tool built for AR terminals, and a cloud API system for developers. Realizing the uncertain prospect of consumers buying HiScene’s pricey AR glasses, the company is targeting enterprises buyers. It hopes advanced manufacturers can use its AR glasses to improve the efficiency of staff training and mechanical repairs. The company is also providing its AR technology to help companies design AR-themed marketing campaigns. It assisted Tencent, Starbucks and Alibaba with some of their AR projects, including marketing based on AR pets. Horizon Robotics was founded by Dr. Yu Kai, founder of Baidu’s Institute of Deep Learning, in 2015. With a team of deep learning scientists led by Dr. Yu who previously worked at Siemens Corporation and NEC Labs America, Horizon Robotics secured top investors including Sequoia and Hillhouse at the time of its establishment. Different from most Chinese AI start-ups, Horizon Robotics set its eyes on a less traveled and more challenging path: developing an all-encompassing platform combining hardware, software and the cloud to power smart devices from autonomous driving vehicles to surveillance cameras. It took the company almost two years to release its first series of products at the end of 2017: its independently-designed and developed AI processor architecture BPU (Brain Processing Unit), and two AI processors, Sunrise 1.0 and Journey 1.0. Sunrise 1.0 enables face recognition and tracking of high-performance surveillance video analytics in scenarios including smart cities. Journey 1.0 powers real-time detection and recognition of objects including pedestrians and vehicles suitable for autonomous driving application. Going forward, Horizon Robotics is focused on developing tailor-made and ready-to-use AI hardware and software solutions in a number of key verticals: smart Internet-of-Things, smart city, autonomous driving, and smart retail. With its planned office opening in Silicon Valley this year, Horizon Robotics hopes to bring an AI capability to more industries and countries. This concludes our first 17 AI companies in the series “The ABC of the Chinese AI scene”. Stay tuned for the second and third parts.